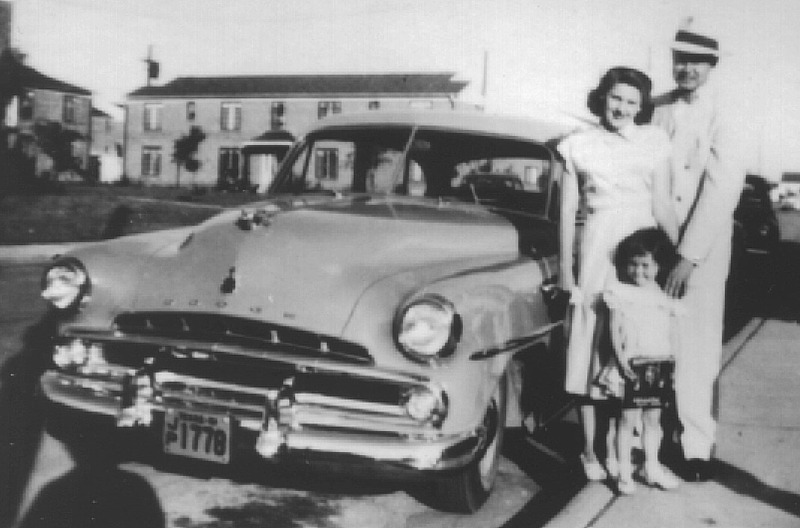 April 23, 1951, was a pivotal day in the spiritual lives of Andy and Joan Horner. Read their personal stories of that day and how it changed their lives forever. Joan and I began to get established in Dallas. We found a good preschool for Andrea and Joan got a job with the Reserve Life Insurance Company downtown. Some of the women she worked with became good friends, especially Marie Hunter. After moving to Dallas in 1950, I got a job at Reserve Life Insurance, Co. in downtown Dallas. God had me at Reserve Life for a real purpose. I worked in Marie Hunter’s department and at break time I would see her reading her Bible. That was different. I’d never seen anybody do that. What was so interesting in the Bible that kept her reading it like a book? Years later I found out she was praying for me. Because Joan was a religious person, she was in the habit of going to church on Good Friday and Easter. She knew better than to ask me, so instead she went with her friend Marie to the noon service on Good Friday, led by Dr. W.A. Criswell at the Majestic Theater. The service touched Joan deeply, and she cried during most of it. Dr. Criswell talked about what happened on Good Friday. I started crying, hearing about what the Lord Jesus suffered. I remember my intense feelings. It was the first time I realized Jesus died for me, but I did not know why. That was at the end of March, 1951. Of course the real reason I resisted was that I didn’t like the voice that kept speaking to me deep inside. I had been able to stay away from anything having to do with God. The only time I brought Him into the picture was when Joan and I had a fight. I would tell her that I was going to heaven and she was going to hell because she wasn’t saved. You can imagine the effect of this kind of witness. In spite of my objections, Joan liked these ladies and wanted to visit their church. So where do you think we went? I found the biggest Bible I could find and tucked it under my arm. Surely no one would bother me if I carried the family Bible. We found the church and got settled in the pew without incident. But then the pastor got up to welcome the visitors from Canada, “Brother Horner, would you please come up here and lead the prayer?” I couldn’t believe it. I gave Joan an elbow and an angry look before I went up front and prayed. Andy had not been in fellowship with the Lord for a long time. He was so upset, very embarrassed. He did it but he told me clearly, we were NEVER going back to church. About a month later, in late April, we got a Monday night visit from another of Joan’s coworkers, Mrs. Richey, a member of First Baptist Church of Dallas. When Mrs. Richey visited us, she kept talking on and on about the wonderful things at church for us and for little Andrea. To get rid of her, Andy said, “Okay, we’ll go.” He had no intention of going; he just wanted her to leave. Well, I intended to go. If we said we were going, we were going. Saturday night we were out partying with friends, and Sunday morning it rained. We had not had rain for a long time, so it was so nice to wake up and hear the rain, a good morning to sleep in. The phone rang. The telephone woke us up at 7:00 a.m. The call was from Mrs. Richey, who was just checking to make sure we were coming to church. “Joan, make up an excuse, anything, because we are absolutely not going.” Mrs. Richey, unaware of my frantic objections, offered to come and pick us up. “No, we don’t need a ride. We have a car.” When Joan hung up, the war began. We argued all the way downtown to church. We arrived downtown and walked into the First Baptist Church. The place was huge, the largest church I had ever seen. The first thing they did was put Andrea in the nursery. Then they took us into the 2,700-seat sanctuary. Both of us were a little nervous. They whisked Joan away to the women’s class on one side of the auditorium, while I went to the men’s class on the other. Here we were, separated in this gigantic church, and then Dr. Criswell stood to speak. I thought it was peculiar that I couldn’t sit with Andy and I couldn’t see him. There were probably 2,500 people there that day, but surprisingly, I wasn’t frightened or irritated. Dr. Criswell got up and spoke for ten minutes on John 3:16. “God so loved the world that He gave His only Son …” It was a pure simple presentation of the gospel, which I had never heard before. But I was primed and ready because I had been under conviction. He quoted John 3:16 and preached an evangelistic message that morning. He spoke for just ten minutes. It could qualify as his shortest sermon ever. But in those moments he made the Gospel simple and understandable. Dr. Criswell revealed God’s love and what it meant to simply trust Jesus, what He did on the cross to pay the penalty for our sins, and what it meant that He had risen from the dead. When the invitation started, hundreds began to go down to the front. I was struggling. I knew I had to get right with God, but I kept fighting it. I didn’t know where Joan was or what she was thinking about all this, but I started praying, “God, please save Joan. It will be too hard to live for You if she isn’t a Christian. If you will just save Joan, then I will submit to You.” I stood there praying for Joan, but I knew that I needed to get right with God myself. 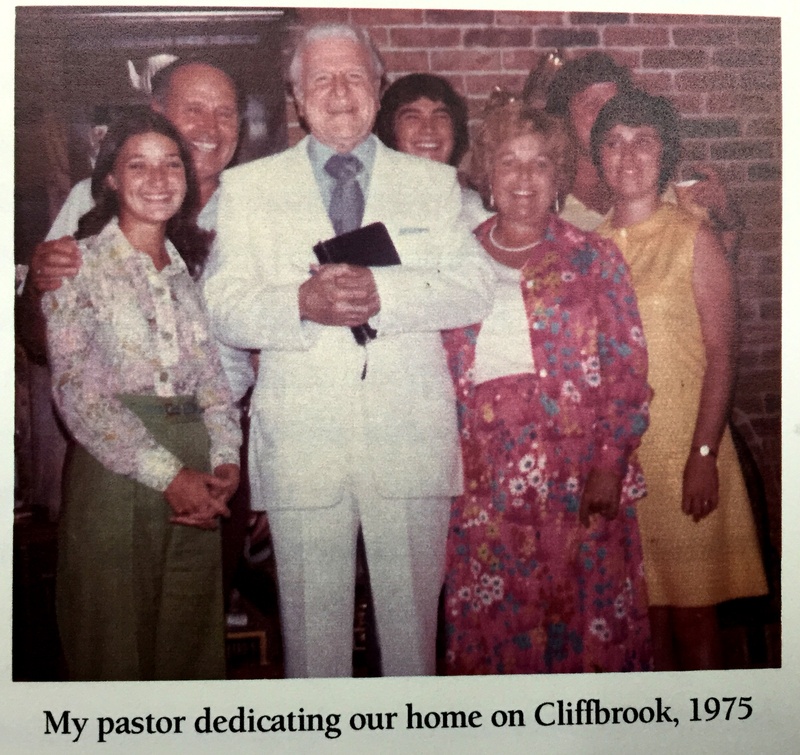 Dr. Criswell began to give an invitation, something I’d never seen before. People starting walking to the front and I didn’t know what they were doing. Then Dr. Criswell stopped and said, “Now I want everyone to get down on your knees.” That grabbed my attention. Oh, boy, this man knows how to pray. As the pastor was praying, I realized my sins separated me from God. I felt filthy. I didn’t feel bad or guilty. I just felt dirty. So when Dr. Criswell said that Jesus came to cleanse us from our sins, I thought, that’s it. That’s what I need. That’s when I knew I needed Christ. I had no idea what Joan was doing, but I couldn’t hold out any longer. I knew I had to rededicate my life to the Lord, with our without Joan. I moved out into the aisle and began making my way to the front. I didn’t know I was going to do anything, but the Holy Spirit moved me out into the aisle. What I was going to say or do down at front, I didn’t know. I came down the right side and the instant I arrived, I saw Joan coming from the left. I walked toward her and we met in the middle. When I got down to the front, there was Andy. We both started crying. Our lives have been united with Christ since that moment. We were both totally changed. WOW, I am amazed and thankful every time I read or hear this experience. God is so faithful and continues to touch and change lives.